Following a sell-out run of its First Edition in the UK and subsequent 12 month wait list, the Jaguar F-PACE has finally arrived on our shores. Last night, the company’s highly anticipated foray into the SUV market was celebrated with a launch event at the MOTAT aviation hangar, where Jaguar New Zealand guests gathered to capture a first glimpse of the attractive four wheel drive during a display of dramatic motoring showmanship, complete with dry ice and revving engines. Touted as a ‘performance SUV’ bringing an unrivalled level of sportiness to the popular utility segment, Jaguar can easily stake this claim as they carry over the most successful elements from their existing line-up, including the revered car manufacturers’ highly acclaimed aluminium architecture and exhilarating rear-wheel-drive power as witnessed in the F-Type. 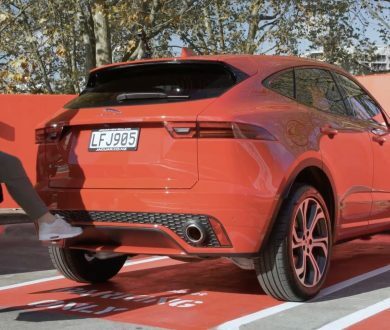 Hence, the vehicle’s name which alludes to its flagship coupé counterpart, the key attribute of this brand new offering being that the F-PACE has all four wheels available for slippery terrain when required. Hone these performance factors and apply a suite of family-friendly technology such as an additional water resistant Activity Key that you can wear on your wrist, 3D navigation and a full-width digital screen that has replaced the conventional speedo, and you have a product that is set to change consumers’ perceptions of what the ultimate, practical sports car really looks like. Complete with undeniably good looks and a price tag that isn’t as scary as you expect, you can say hello to the new breed of vehicle that refuses to be caged into any one category. 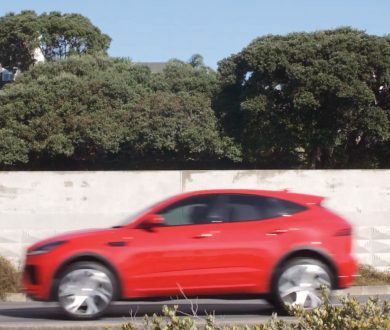 To view the range of F-PACE models, visit the Jaguar New Zealand website here.